Want to make a difference in the lives of older adults and adults with disabilities? 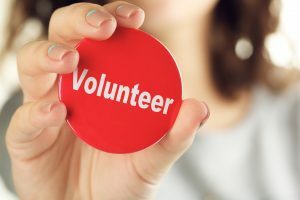 Volunteer at the Area Agency on Aging for Southwest Florida. More than 70 volunteers help us deliver programs to seniors and adults with disabilities across our seven-county service area. Bilingual volunteers are especially needed, although the ability to speak multiple languages is not required. Health & Wellness and SHINE volunteers are reimbursed for mileage and in some cases may receive free training. Do you enjoy encouraging others to live a healthier lifestyle? You can volunteer as a health and wellness leader for AAASWFL! In 2017, nearly 500 seniors and people with disabilities took advantage of AAASWFL’s health and wellness workshops. Many of these workshops are led by volunteer instructors. If you are interested in becoming a volunteer, call the Area Agency on Aging at (239) 652-6900, or download and fill out an application (Microsoft Word). SHINE (Serving Health Insurance Needs of Elders) relies on volunteers to deliver free, unbiased, one-on-one Medicare counseling. No experience necessary– SHINE volunteers receive free, professional training from AAASWFL and the Florida Department of Elder Affairs. A background in health care, insurance, or finance is helpful, but anyone with good computer and customer service skills is welcome. Applicants should be willing to complete additional training courses and must be able to pass a level 2 background screening. The SHINE volunteer application can be found on the Florida SHINE website. For more information about becoming a SHINE volunteer, call the Area Agency on Aging at (239) 652-6900. The AAASWFL advisory council is a volunteer group that provides guidance and support to Area Agency on Aging staff and board of directors. Members can hail from any part of the AAASWFL planning and service area of Charlotte, Collier, DeSoto, Glades, Hendry, Lee and Sarasota Counties. Advisory Council members serve as a vital link between AAASWFL and the aging population in their local communities. While advisory council members can be any age, the Florida Department of Elder Affairs requires that at least half of the members of the advisory council are age 60 or older. To apply to become a member of the AAASWFL advisory council, please download the Advisory Council Application and email your resume and completed application to info@aaaswfl.org.